The best feeling a writer gets is when he is read. For us bloggers, a big satisfaction is when we feel people want to read what we publish. Recently, we had a discussion about how to bring more people to our platform. I found a 2011 article on Quora. A good read to understand what works for collaborative content platforms. Posted on June 6, 2017 June 6, 2017 by NeelabhPosted in Business, TechnologyTagged Needull, Quora, Wired. So much happens in the information world that it’s hard to keep up. Interesting read. 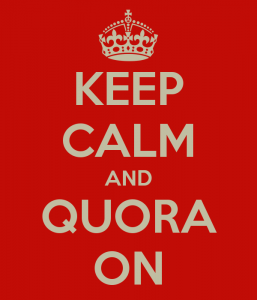 Quora is one of the most successful ones. There are many models which never worked.